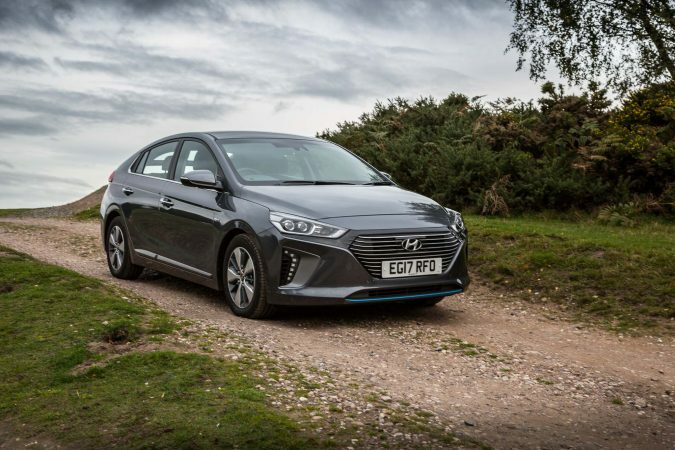 Spending some time with the Hyundai Ioniq we learned a lot about the car. Driving in its all-electric mode, the Hyundai IONIQ only pulls power from its batteries. You can’t hear the engine in this mode as it’s not running, so you have a duty to be cautious around pedestrians and cyclists. 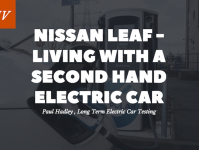 Coupled with the regenerative braking tech, which uses the kinetic energy produced in the braking, the car autonomy is increased. 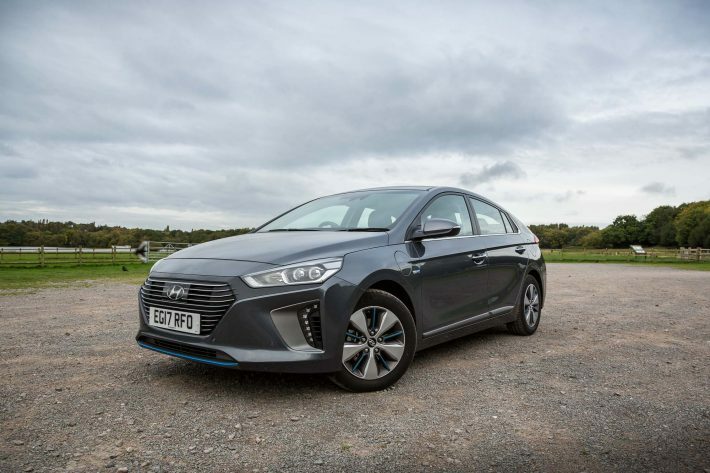 With the battery alone, the IONIQ has a range of 31 miles, and the petrol engine gives 400 plus. Here are a couple of clever points to note – the battery pack is found under the boot floor and rear seats, affording plenty of storage space. It also has dual-zone AC and you can focus the AC on the driver only to save energy. 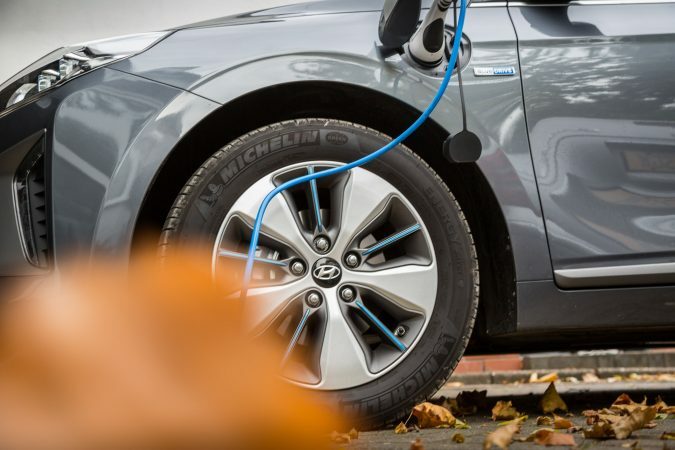 One of the car’s best features is the recharging time, which is compatible with fast chargers. 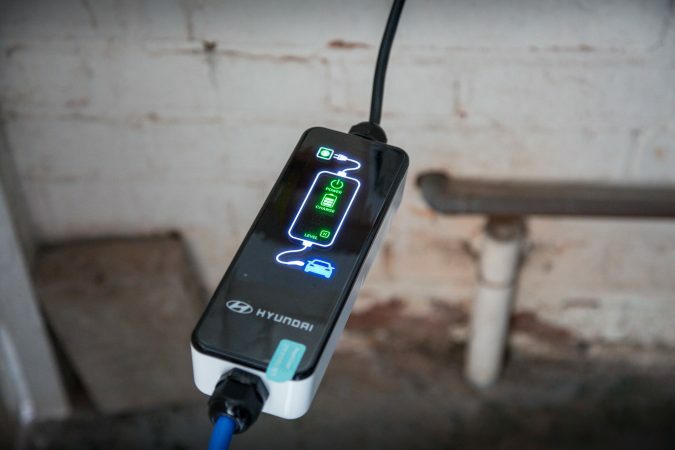 Using a DC fast charger, the Hyundai IONIQ only takes 33 minutes to recharge to 90%! So in case you forget the night before, you have plenty of time for recharging before leaving for work. The plug-in PHEV trim comes with a 1.6-litre engine and a 45-kW electric motor supported by a 8.9-kWh lithium-ion battery. The total amount of power that the whole system produces is 147 PS with 147 Nm of torque. It’s enough to move the Hyundai IONIQ from 0-60 in 10.8 seconds, reaching the speed limit at 115 mph. 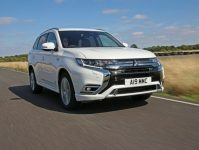 The Hybrid and PHEV version comes with a 6-speed dual-clutch automatic transmission, and the Electric version has a single-speed gear and 118 PS and 295 Nm of torque. Typical of a PHEV car, the torque comes up instantaneously so it’s hard to keep a constant speed. 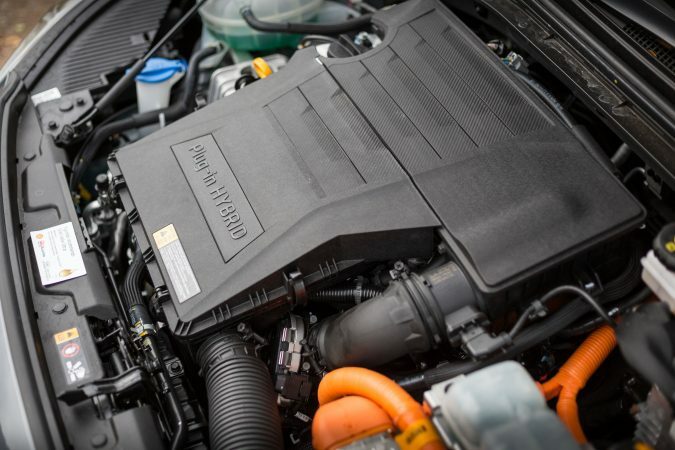 Charged to the fullest, Hyundai advises the vehicle has a range of 124 miles. The exterior design of a car is not just for appearances. Aerodynamics also add stability and increase fuel efficiency. 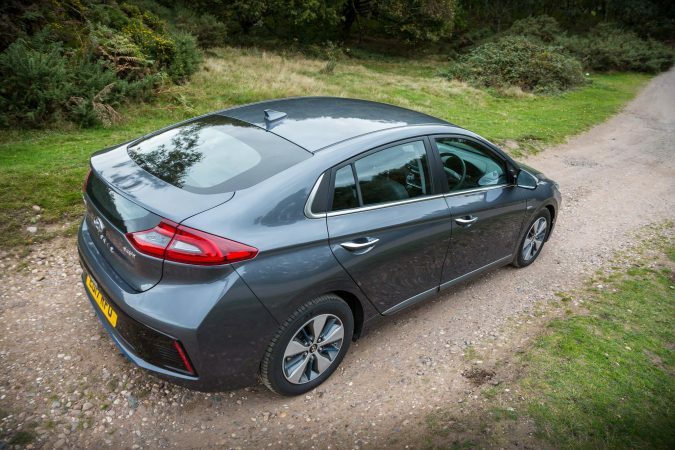 The Hyundai IONIQ is a streamlined model with 0.24 Cd, one of the lowest coefficient drag ratings in the world. In comparison, the costly Mercedes S-Class shares the same Cd level. This low drag efficiency also enhances the range. We finally have a hybrid car that doesn’t look like it came from outer space, although it still looks futuristic. You wouldn’t feel like an outcast in traffic. The wide front grille looks the business and has a blue line on the splitter indicating that it is a hybrid hatchback. This is replicated in the grey alloy wheels and the dashboard. 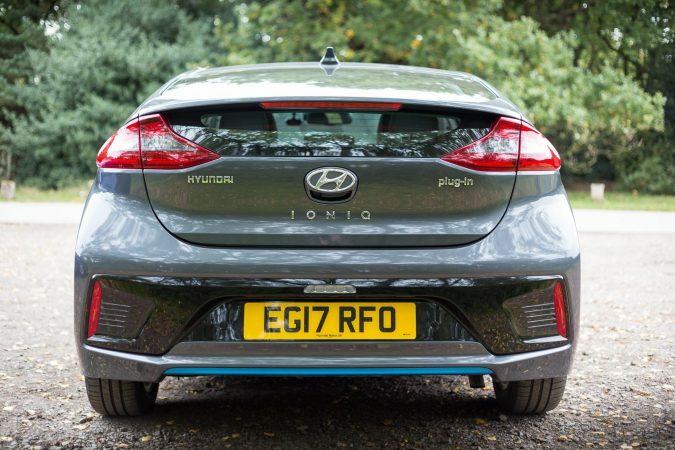 From the rear, the Hyundai IONIQ looks unique. 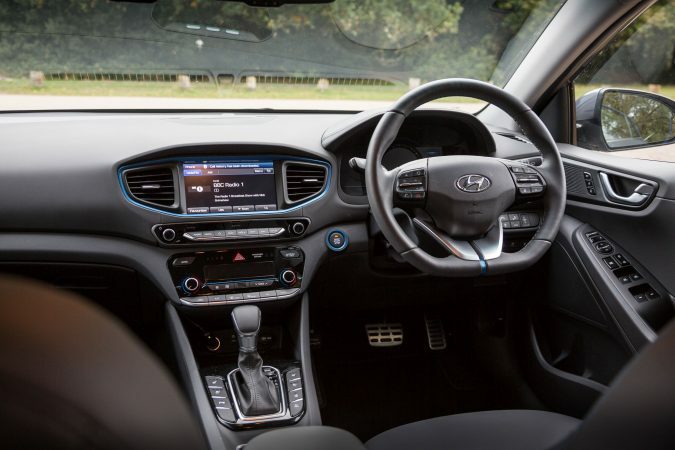 The Hyundai INOIQ is constructed from eco-friendly material, such as plastic with volcanic stone and powdered wood. The Korean car maker also used sugar cane extract on the carpet, panels and headliner fabric. 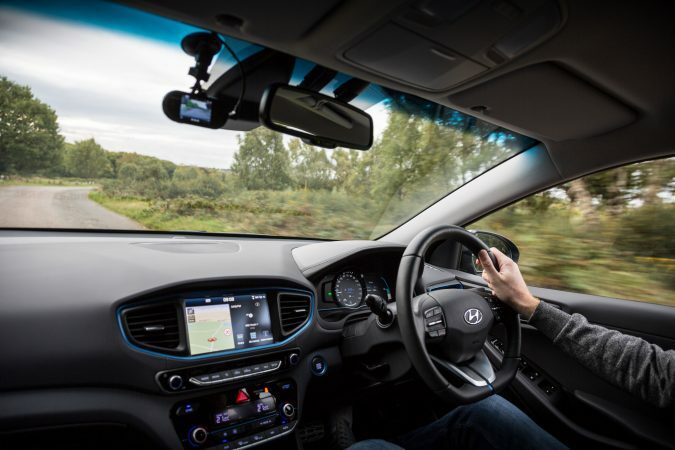 The IONIQ has a great list of optional and standard features along the three available trims. Compatible with Apple CarPlay and Android Auto, the touchscreen display is intuitive and user-friendly. 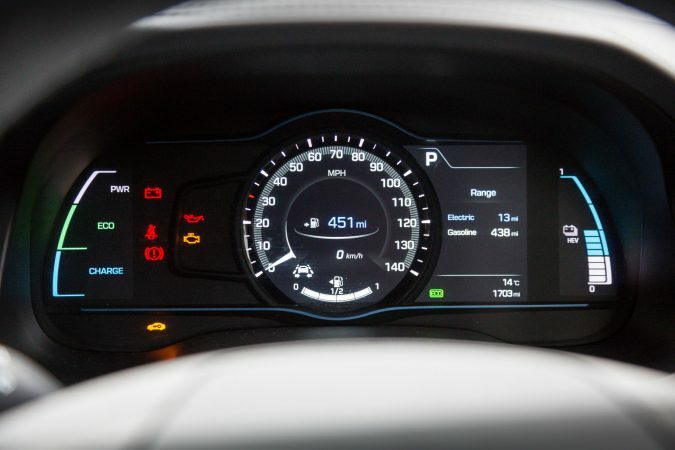 There’s also a 4.2-inch screen on the instrument cluster. The PHEV and Electric version comes with LED headlights, wireless charging and Infinity premium audio system. The rear view camera comes in handy, as well as rear parking sensors and heated seats. 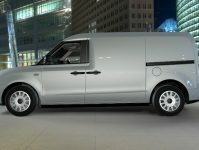 When it comes to safety, this model has AEB with pedestrian detection, lane departure and a forward collision warning system. It tells you that something is in your blind spot, and has lane keeping assist. The Hyundai IONIQ has seven airbags, including one to protect the driver’s knees. It also has great visibility from all directions. The Hyundai IONIQ rivals the Toyota Prius, Audi A3 E-tron, Kia Niro, Honda Clairty and the Chevrolet Volt. It’s great if you’re looking for a reliable car that goes from A to B, while you run your errands. 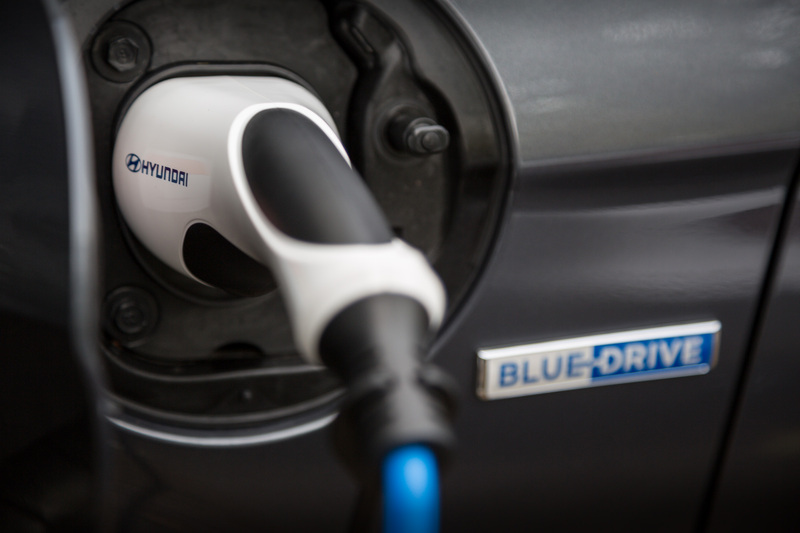 You never know when fuel prices will rise, but if you have a hybrid vehicle you won’t have a problem with that. I know the future doesn’t belong to petrol cars, as the UK and France will say farewell to fossil-fuel cars by 2040. I guess it’s time to reconsider what the future holds.